enjoyed fishing and listening to rock and roll. He loved spending time with his family and will be remembered by his support and encouragement to be the best they can be. Fred is survived by his wife, Florence; children, Amy Pauken, Fred Beringer, Jennifer (Rick) Maxfield, David Babcock; grandchildren, Zach, Ariel, Nick, Alaina, Makenna, Mya, Kameron, Paige, Noah; siblings, Cathy (John) Bumbaugh, Tom (Betty) Beringer, Rachel (Mark) Miller, Chris (Lisa) Jaeger; honorary stepfather, Richard J. Jaeger; and many loving nieces and nephews. Fred was preceded in death by his parents, and his sister, Joann (David) Fisher. 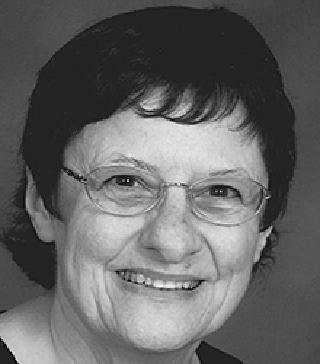 Kathryn M. (Fleck) Erhart, age 79, died peacefully Saturday, March 25, 2017 at The Goerlich Center in Sylvania. Katie was born December 9, 1937 to Arthur and Margaret (Crawford) Fleck. Katie is survived by her children, Mary, Margaret (Leah), Robert (Angela), Katherine (James) Woods, Susan (Barry) Ganoom, Joan (Keith) Hershey, Julie (Jason) Walton; and her brothers-in-law, Jack (Jean) Erhart, and Carl Paperiello. Also surviving, and the great joy in her life in her later years, are her grandchildren, Richard, Tara, Hannah, Jackson, Elise, Spencer, Rebecca, Timothy, Cooper, James, David, and Dylan. Katie is also lovingly survived by many nieces, nephews, cousins, and friends. Katie was preceded in death by her husband, Bob; her parents; her brother, Vincent; her sister, Dorothy Paperiello; and four infant children. Our family wishes to thank all of Mom’s doctors, their staffs, and especially the many wonderful caregivers at the Goerlich Center. In lieu of flowers, please consider St. Charles Borromeo, the Ursuline Center, or a charity of your choice . Dorothy M. Muller, age 90, of Toledo, passed away peacefully on Monday, March 13, 2017, in her home, surrounded by her loving family. She was born in Toledo on January 10, 1927 to Nicholas and Damaris DeIorio. A 1945 graduate of Notre Dame Academy, she married William Muller in 1948. Widowed at age 48, Dorothy worked many jobs to support her family, finally retiring from the office of the Bishop of the Diocese of Toledo. After her retirement, Dorothy volunteered many hours at Heartbeat of Toledo, St. Luke’s Hospital, and Our Lady of Perpetual Help Parish. Her lifetime dream came true last July when she revisited her parents’ hometown in Italy with her six children. Among her hallmarks, Dorothy will always be remembered for her deep faith, her profound wisdom, her love of all things Italian, her unyielding support for the unborn, her healing touch, and as a voice of encouragement to all who knew her. William; and brother, Frank DeIorio. She is survived by her children, Kathleen, Christopher (Susan), Thomas (Maureen), Marie (Kevin) Hickey, Susan, and William Jr. (Linda); brother, Dr. Richard (Kathy) DeIorio; as well as 11 grandchildren; and 11 great-grandchildren. Friends may visit at the Coyle Funeral Home, 1770 S. Reynolds Rd., on Friday, March 17, from 2-8 p.m. where a rosary will be recited at 7 p.m. Funeral Services will be held on Saturday, March 18, beginning at 9:15 a.m. in the mortuary, followed by a Mass of the Resurrection at Our Lady of Perpetual Help Church at 10 a.m. Interment Ottawa Hills Memorial Park. Charles J. Homan, aka “Bud” born December 21, 1929, died surrounded by the love of family on February 20, 2017 at Hospice of Northwest Ohio. Charles was a great husband, father, and friend. He married the love of his life, JoAnn Lautermilch on August 23, 1952. Charles was raised in Tiffin, Ohio, where he still had ties to friends and the community. Charles served in the army during the Korean War; he was stationed at Fort Knox, Kentucky, where he was often honored as Soldier of the Week. His civilian career in accounting took him to assignments in Toledo, Ohio and Detroit, Michigan. Charles loved a challenge and earned the Michigan Advanced Assessing Officer Designation as a member of the Michigan Assessors Office. His analytical training and experiences left him with a love of business and the stock market. After his retirement from Detroit Edison, Charles and JoAnn returned to Waterville in the Toledo area to be near their grandchildren. Charles instilled in his family a love of travel during summer road trips throughout the U.S., and, in retirement, he and JoAnn traveled to Europe, South America, Mexico, and to the southwest United States. He will be remembered for his quick wit, gentle manner, generosity, and deep faith. He liked nothing better than a family gathering, a meal out, or happy hour where he was quick to provide libation. He will be especially missed at “the pool” where he was a frequent visitor on summer evenings. Charles was preceded in death by his parents, Charles Otto and Ida Marie Homan, and brother-in-law, RADM Paul Lautermilch. He is survived by his wife of 64 years, JoAnn; his sister, Mary Kay DenUyl; brother-in-law, Rev. 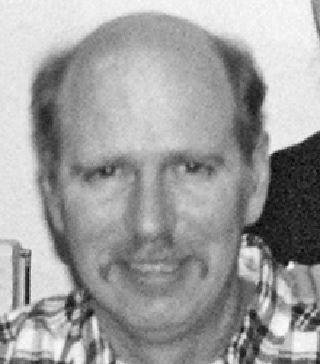 David J. Lautermilch; his son, Chad; daughter, Judy (John) Leech; grandchildren, Katie (David) Theby, Joseph Leech, Shannon Homan, and numerous nieces and nephews. The family suggests memorial donations to the Ursuline Center 4045 Indian Road, Toledo, Ohio, or St. Joseph’s Catholic Church, 104 W. Broadway, Maumee, Ohio 43537.